Maxwell Gregory, a personal trainer at the Valley of the Sun Jewish Community Center, picks up an order of produce from North Scottsdale Organics. 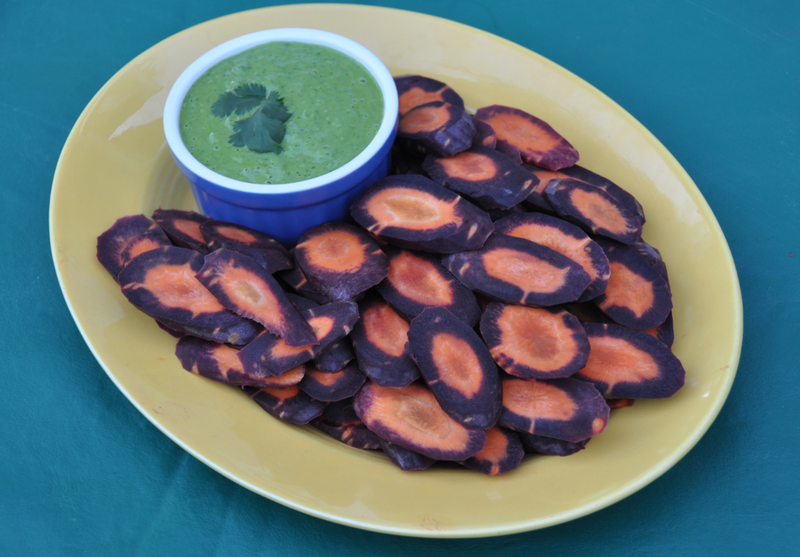 One example of ways to use this week’s produce are Purple Carrot Chips. Slice purple carrots at an angle — thinner slices for more delicate chips and thicker slices for more hardy scoopers. Visit northscottsdaleorganics.com for more information.